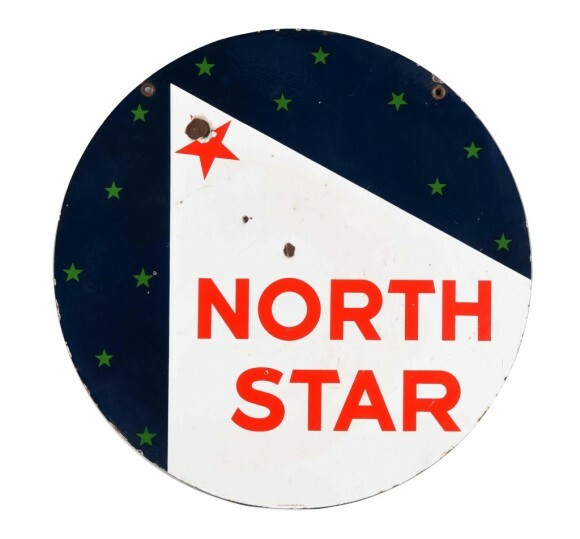 This minimalist North Star Round porcelain sign is double sided and measures 30″ across. The sign is rather simple. Starting at 11 o’clock is a traingle that runs down to 4 o’clock and 7 o’clock. The triangle is white and has two objects: the words “North Star,” and a red star. Outside of the white triangle is navy blue and dark green stars filling the background.